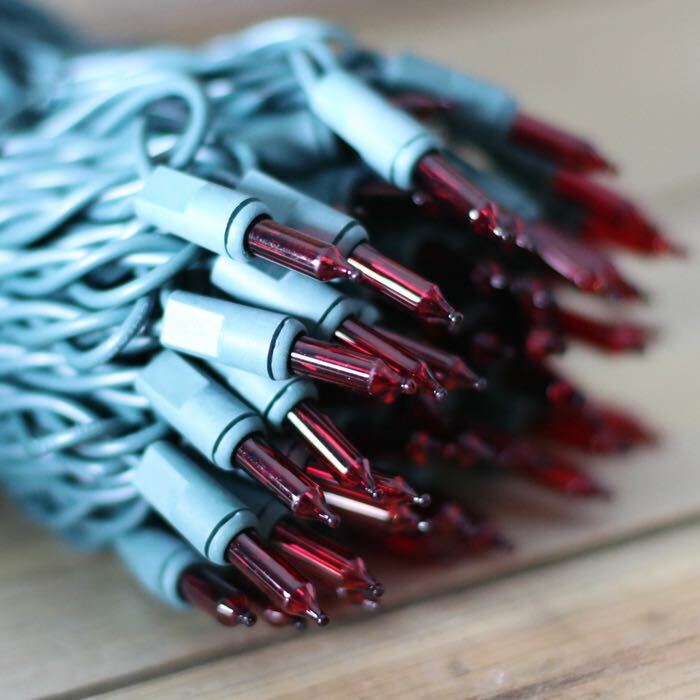 Red Christmas lights...can we imagine the holiday season without them? Constructed with 100 lights to the string with 6-inch spacing, this light string is just under 51 feet long. 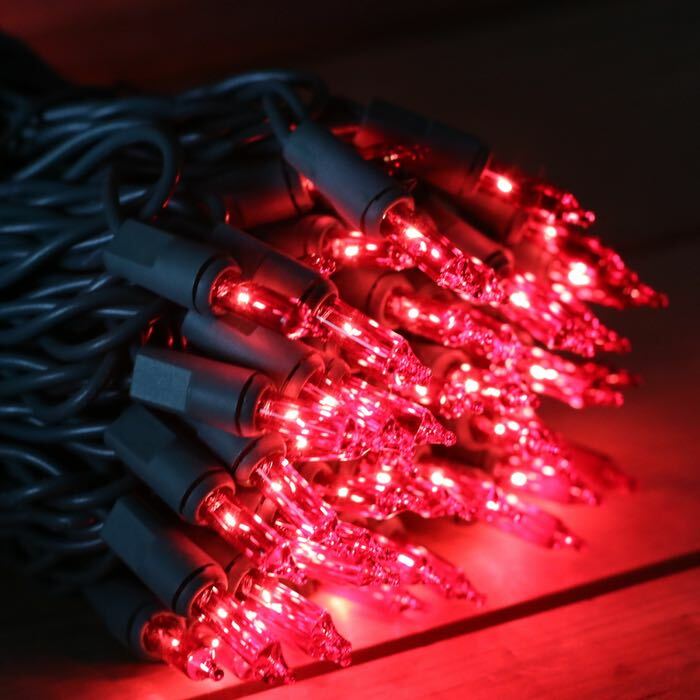 You can run up to 5 sets of these lights in a series before adding a second extension cord. There's nothing like the glow of an incandescent bulb, lighting up your outdoor structures. The spacing on these lights allows you to brighten up your outdoor fences, trees, and even the barn, if you have one. 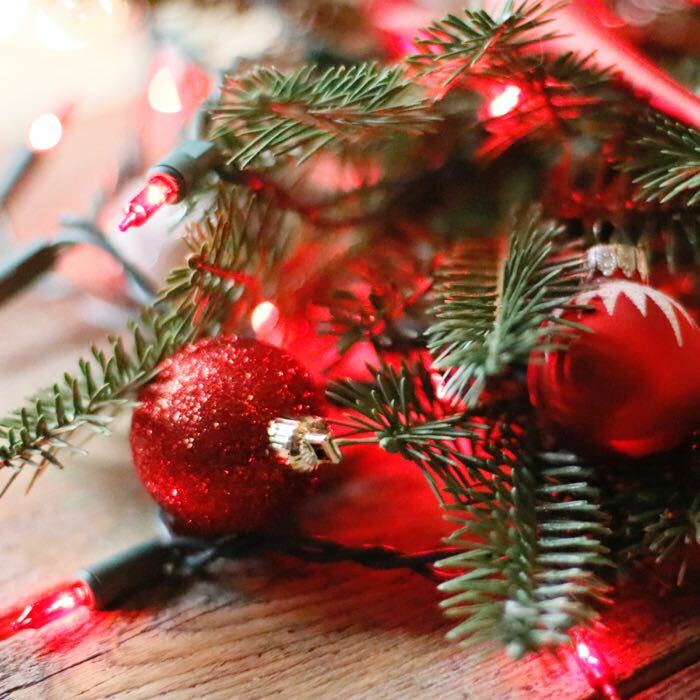 Consider combining red Christmas lights with green lights for a truly traditional look. Or, combine them with pink or teal mini lights for a fun retro feel. Anyone remember the 1950's?